NEW YORK – August 30, 2016 – Flanked by music and tech industry leaders at an event in Manhattan, Sonos® today unveiled software innovations including voice control and partner app integrations that make it easier than ever for listeners to navigate, discover and share music in their homes. 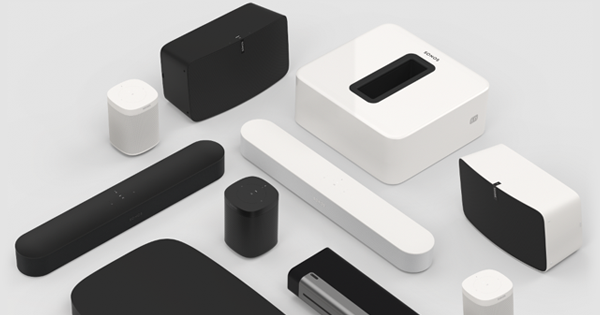 The company also demonstrated how partners are building new connected home experiences on the Sonos platform, further bolstering its leadership in multi-room home audio. Sonos owners with an Alexa-enabled device such as an Amazon Echo or Echo Dot will soon be able to use Amazon’s popular Alexa service to control their Sonos sound system, the companies announced. The software integration – collaboratively built from the ground up using the Alexa Voice Service (AVS) SDK– taps into both Sonos’ and Alexa’s existing music capabilities so owners don’t have to learn additional commands or key words. Simply ask Alexa to play your music from Amazon Music, Spotify and more and it will flow to any group of Sonos speakers in the home. By integrating Alexa into their Sonos sound systems, owners can use their voice to play, pause, skip, control volume and more. These new voice capabilities will be delivered in a software update that will work with new and previously purchased Sonos and Alexa-enabled devices such as Amazon Echo, Echo Dot, Amazon Tap, and Amazon Fire TV. The companies will begin rolling out the experience through an invite-only beta test later this year, with general availability in 2017. Sonos also announced a Spotify Connect integration with additional functionality that will make it the only whole home sound system that can be fully controlled directly from the feature-rich Spotify app, including play controls and easy access to grouping and ungrouping of rooms. Spotify will be the first music streaming service that allows Spotify Premium listeners to have full control of the music all over their homes outside the Sonos app. The inherently social listening experience also makes it possible for everyone in the home to control a listening session with both the Spotify and Sonos apps, which stay linked with one another. Friends coming over? 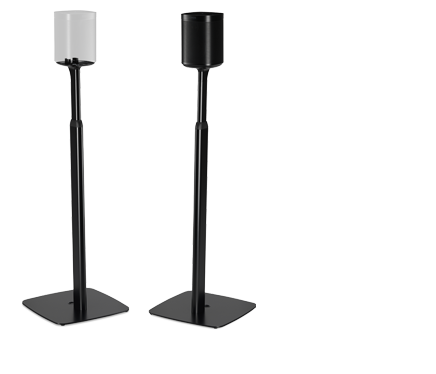 They can connect to your WiFi and use their own Spotify app to instantly play music to your Sonos speakers without downloading the Sonos app. And since you can control your Sonos system when you're away from your home WiFi, you can now have music playing for you as soon as you come home. "We're excited to partner with Sonos and enhance the at-home listening experience," said Gustav Söderström, chief product officer at Spotify. "Spotify listeners can now seamlessly transition their listening throughout the day from their headphones, to the car, to their computers, to their Sonos system at home with complete control of all their favorite Spotify features directly from the Spotify app." This free software update will be available in October as part of the Sonos public beta program. Rapid innovation is happening across native apps from all the streaming services. Sonos also announced its commitment to enable direct control experiences across its entire lineup of music service partners, including Pandora. Sonos also announced the company’s first-ever endorsed partner integrations with connected home leaders Crestron, Lutron, Savant, Control4, iPort and Deutsche Telekom’s QIVICON. These joint collaborations seamlessly integrate Sonos’ sound platform into the connected home, making it even easier for customers to control their music at home, whether from a touchscreen panel, a light switch or a remote control, all with the simple push of a button. Sonos also announced a series of initiatives to advocate for higher-quality music listening experiences at home, both through consumer education and industry activism. The effort kicks off with a new global marketing campaign that pokes fun at the absurdities of modern listening and exposes the problems that stand between us and the music we love. The hilarity of listening on “craptop” speakers, the frustration of a phone tethered to a speaker by Bluetooth and the irony of wiring a home for sound in the age of WiFi are all part of the campaign. The work premieres on TV, online and out of home on September 1. Sonos will also partner with Airbnb to use the power of music to make everywhere feel even more like home. The companies will work together to enhance the home listening experience, not only for Airbnb’s host community, but for their 100+ million guest arrivals around the world. Sonos has been offering Sonos systems to new Airbnb hosts, and together the two brands recently piloted a Sonos Home pop-up activation with promising early results. Finally, Sonos announced it has joined the Open Music Initiative, an organization founded in June 2016 by Berklee’s Institute for Creative Entrepreneurship with the goal of dramatically simplifying the way music creators and rights owners are identified and compensated for their art. 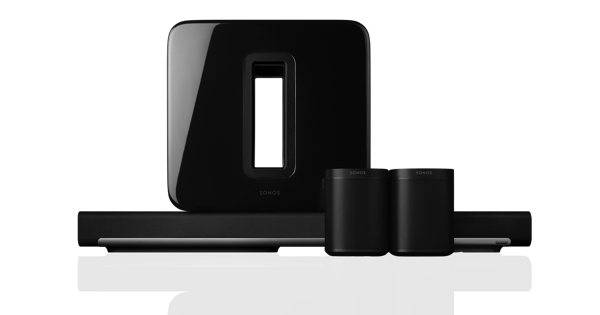 As a member, Sonos will champion high-quality music experiences worth paying for, a major hurdle for continued growth. Video, photography and more information about the other news of the day is available here: http://press-us.sonos.com/en. For more information about Sonos, please visit www.sonos.com. © 2016 by Sonos Inc. All rights reserved. Sonos and all Sonos product names and slogans are trademarks or registered trademarks of Sonos, Inc.